Assembly Speaker John Perez has named first-term Democratic Assemblyman Al Muratsuchi, a former school board member from Torrance Unified, to be the new chair of the Assembly Budget Subcommittee on Education Finance. Beside Torrance, other communities in the Assembly 66th District include Harbor City, Manhattan Beach and Rancho Palos Verdes. 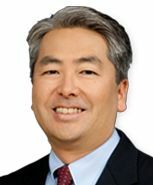 Muratsuchi, a former prosecutor, served seven years on the Torrance board. He’s a graduate of the University of California, Berkeley and UCLA School of Law. He succeeds Assemblywoman Susan Bonilla, D-Concord, a former English teacher, who is now chairing the Assembly Committee on Business, Professions, and Consumer Protection. Under Bonilla, the Budget subcommittee took a lead role in holding hearings and shepherding Gov. Brown’s Local Control Funding Formula through the Assembly last year. If there are any fixes to the new finance system next year, the legislation would likely go through that subcommittee.